The Royal Academy of Arts (RA) is one of the major art institutions in London and is based at Burlington House in Piccadilly. 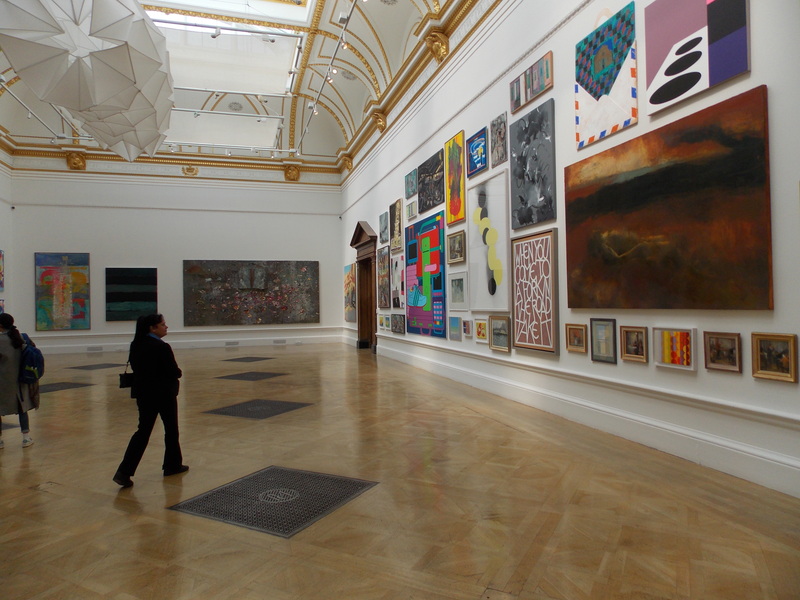 Unlike many other art institutions, The RA is an independent, privately funded institution led by artists. Whose mission is to promote not just the appreciation and understanding of art, but also its practice. The RA has an illustrious history being formed with the support of King George III, the idea was to form a society for promoting the Arts of Design. Although there were other artist societies, they generally just put on exhibitions. The RA wanted to become Britain’s first art school and provide a space to put on exhibitions that would advertise the talents of its members. Among the founder members were acclaimed painters Joshua Reynolds, Thomas Gainsborough and Benjamin West. The R A was based first in a small gallery in Pall Mall before moving into the old then new Somerset House in 1780. The Academy then moved to the New National Gallery in 1837 before in 1868 locating in its present home in Burlington House in Piccadilly. Artists that have studied at the RA school have included J. M. W. Turner, William Blake, Thomas Rowlandson, John Constable and Edwin Landseer. 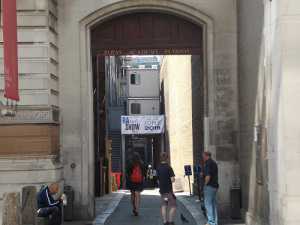 The RA Schools is still an important part of the Academy and offers free tuition to all who study here. 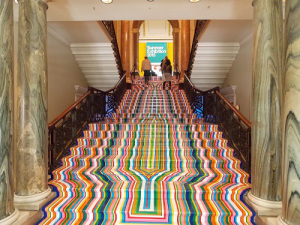 To help to fund the schools and other activities, the RA put on a series of world-class exhibitions throughout the year. Recent exhibitions have featured well known artists Ai Weiwei and Anselm Kiefer, but also feature lesser known artists like American abstract artist Richard Diebenkorn and the Renaissance artst Giovanni Battista Moroni. 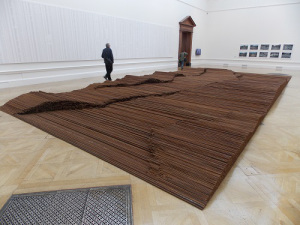 One of the most prestigious events of the Academy is the annual Royal Academy summer exhibition of new art, which is a well-known event on the London social calendar. Anyone can submit pictures for inclusion in the exhibition and those selected join the works of the Academicians. There are a number of social events associated with the exhibition and many of the works are available for purchase. 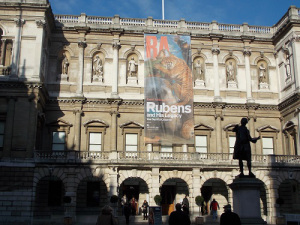 The Royal Academy of Arts is based in Burlington House, Piccadilly W1J 0BD. By londonvisitors2014 in London Attractions on June 13, 2016 .